British and Commonwealth Bayonets (BCB) by Ian Skennerton and Bob Richardson, Arms & Militaria Press, 1986. #024 – An 18th. 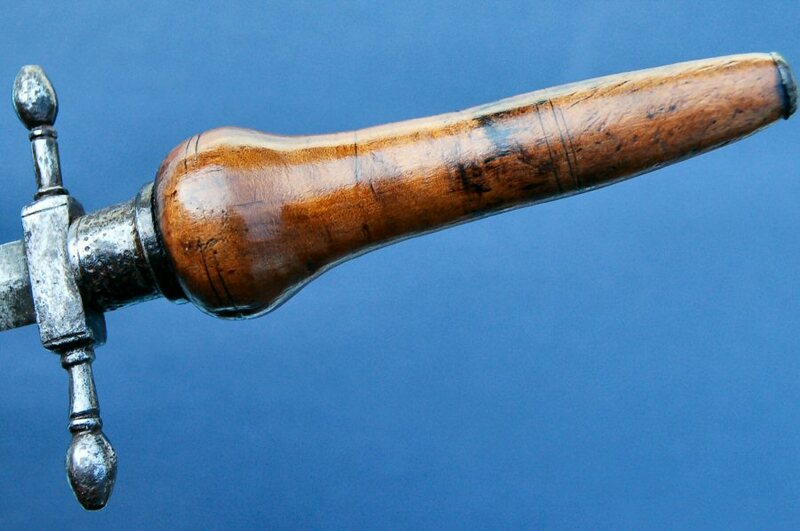 Century Germananic plug bayonet, with steel mounted wood grip. 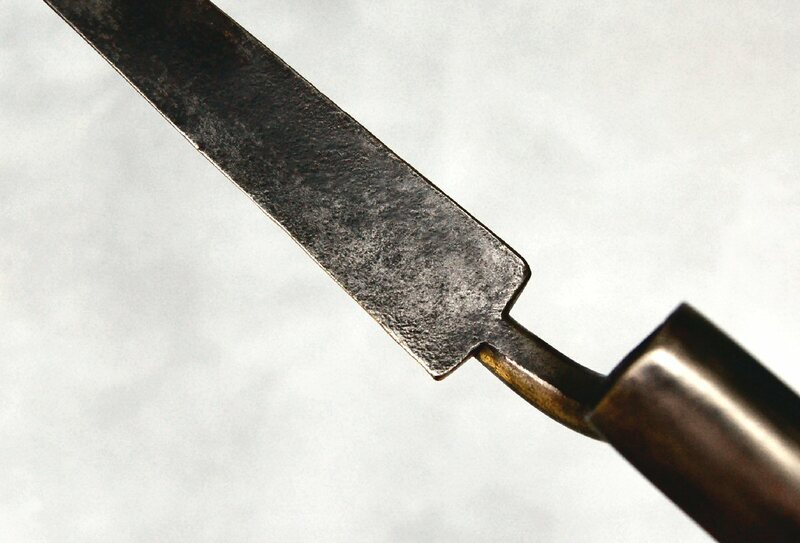 Beautifully crafted, almost delicate, with a 209mm double edge blade. 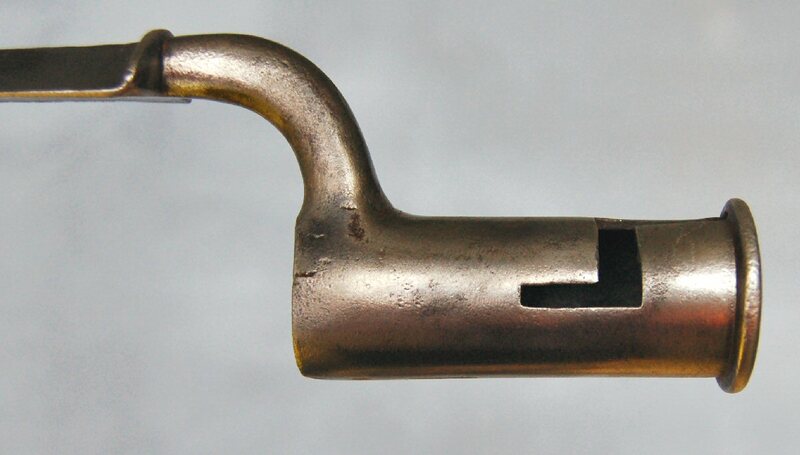 #776 – An early Brown Bess style socket bayonet, Revolutionary War period. 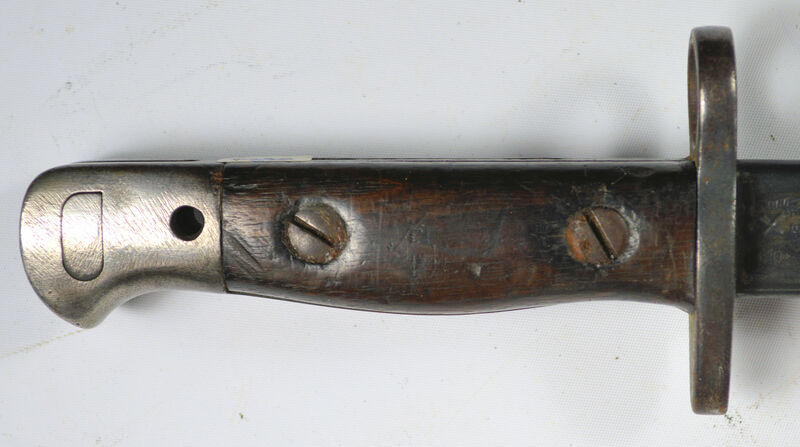 Early Bess style blade with distinctive 'dished' face, and prominent, rounded guard. 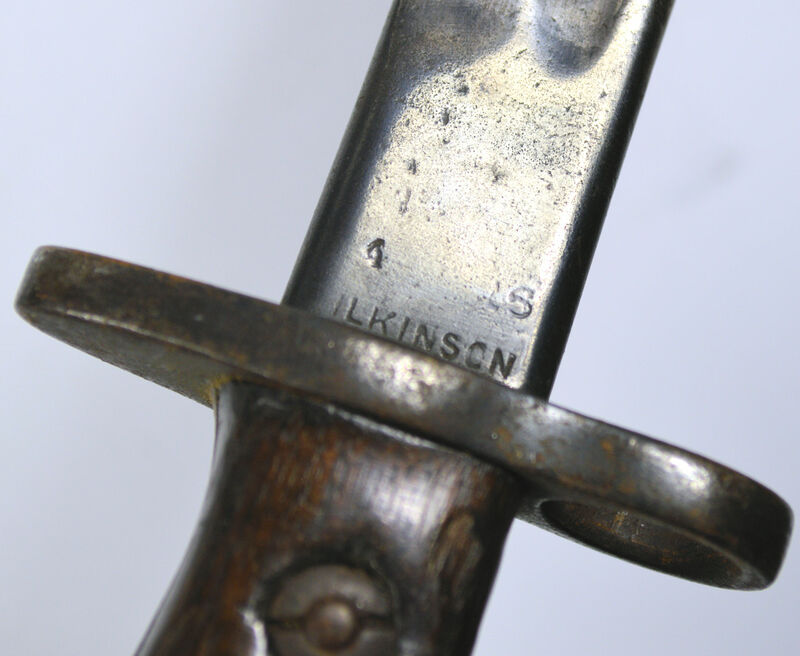 #190 – A British P1907 sword bayonet, manufactured by Sanderson in 1915. and so stamped on the blade. 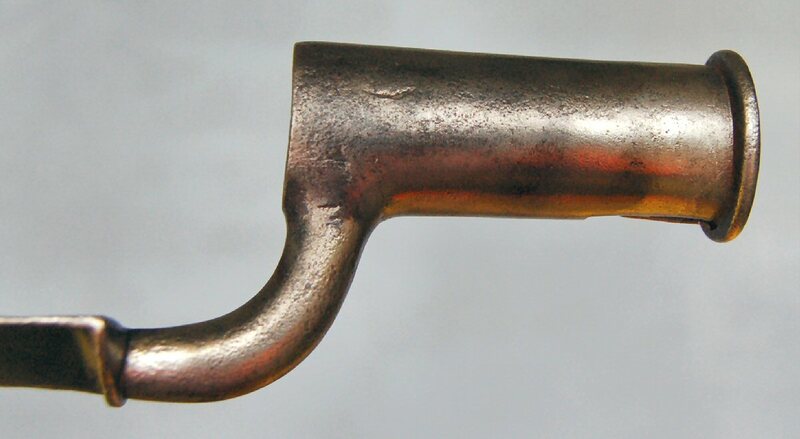 No oil hole in pommel, indicating the original had the hoohed quillon removed. Complete with No. I Mk.II scabbard. 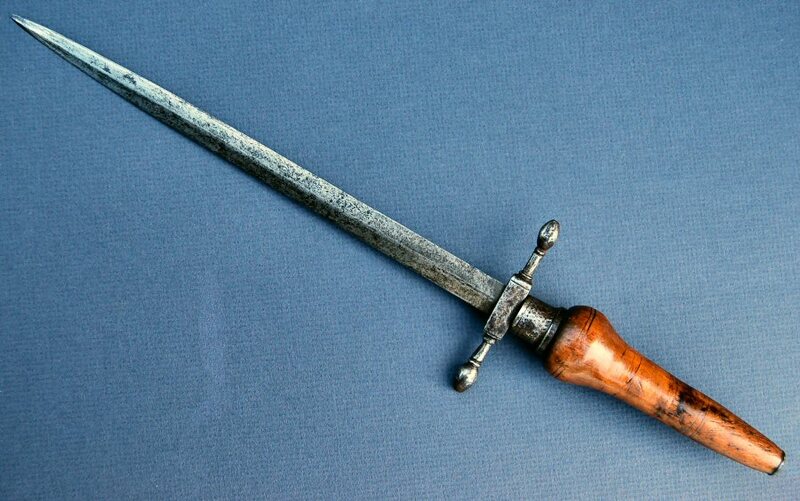 #822 - A British DRILL PURPOSE P1907 sword bayonet. 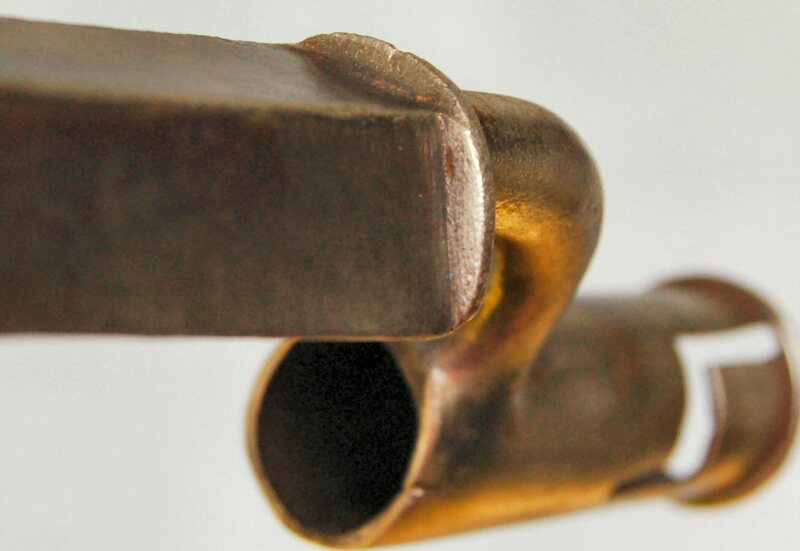 Manufactured by Wilkinson in 1916, the blade point rounded, and end of pommel stamped DP. Complete with No. I Mk.II scabbard. 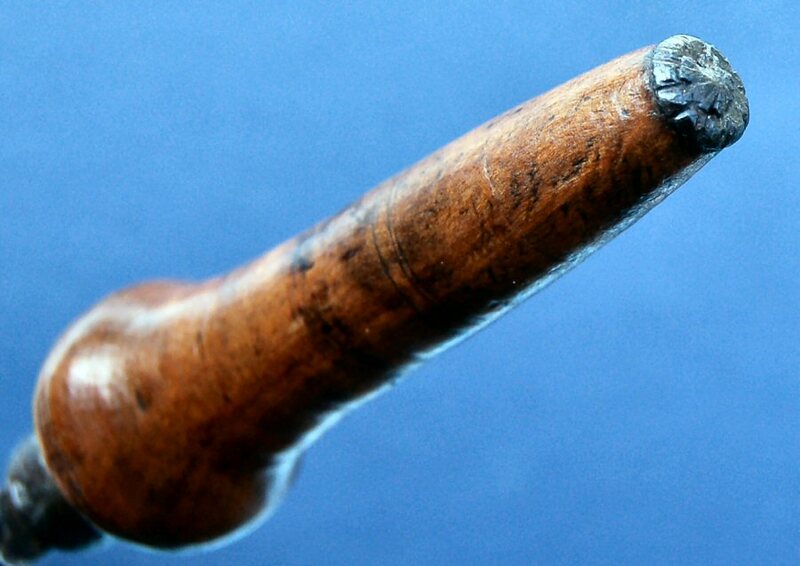 #27 - A nice, untouched Australian, LITHGOW made P1907 bayonet, dated 1917, no oil hole. 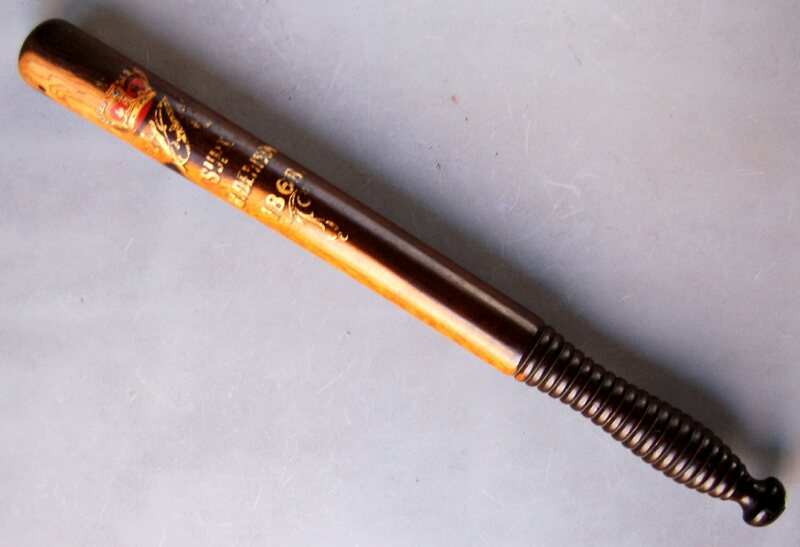 Complete with No.l Mk.ll scabbard with Mangrovite leather body. 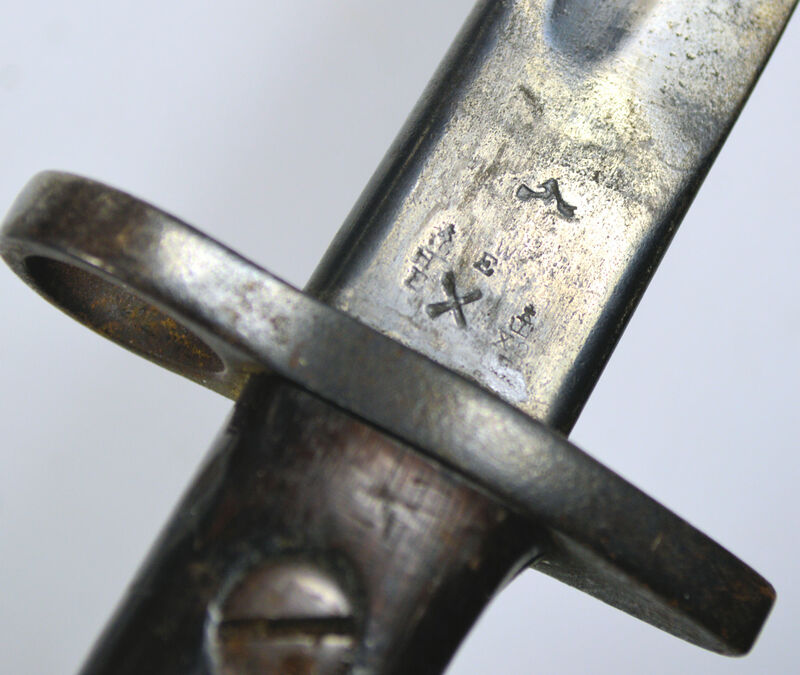 Bayonet crossguard stamped 3MD. #022 - A German ersatz knife bayonet - EB14. Light salt & pepper pitting overall. 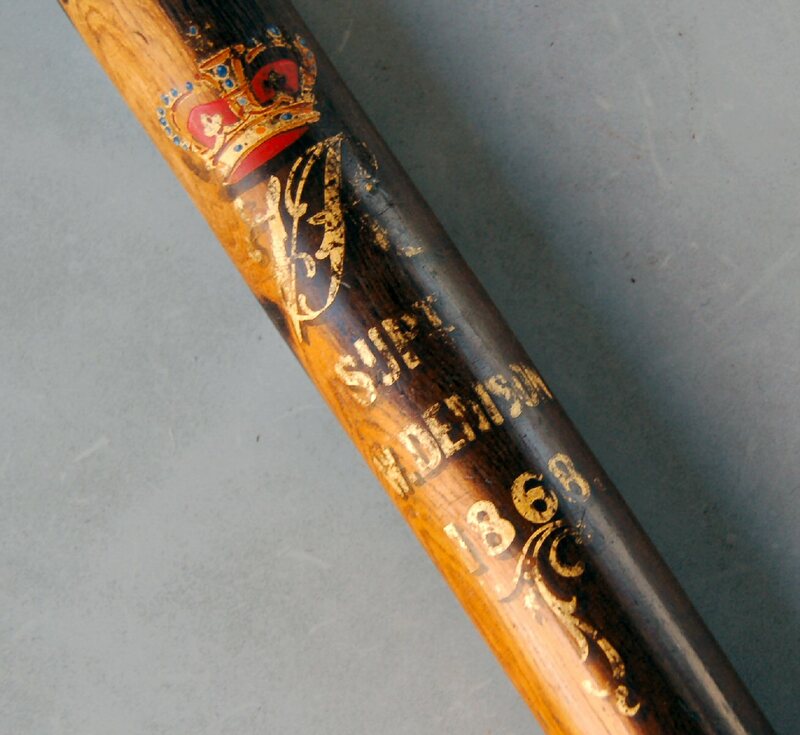 036 - A German 'ersoc' bayonet. 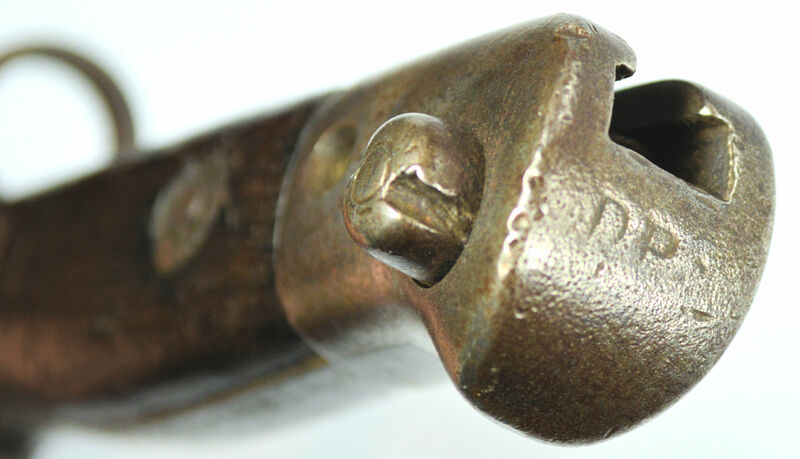 Pressed steel hilt mounted on a British P1853 socket blade (ES13). 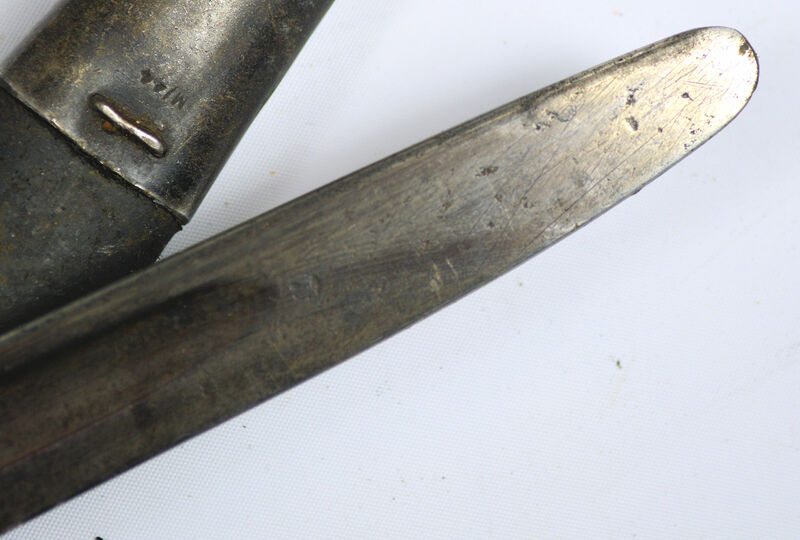 E014 - A German ersatz knife bayonet EB23 (Roy Williams #462). 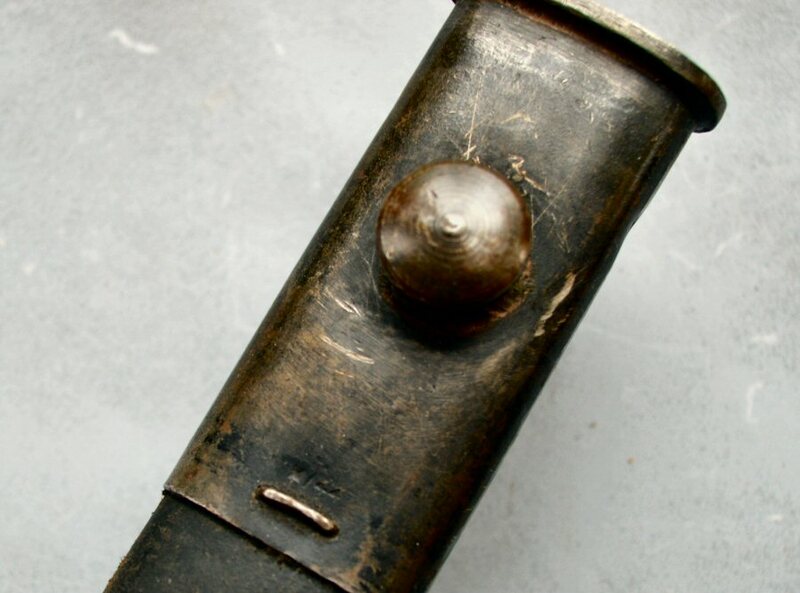 Cast steel hilt and scabbard. 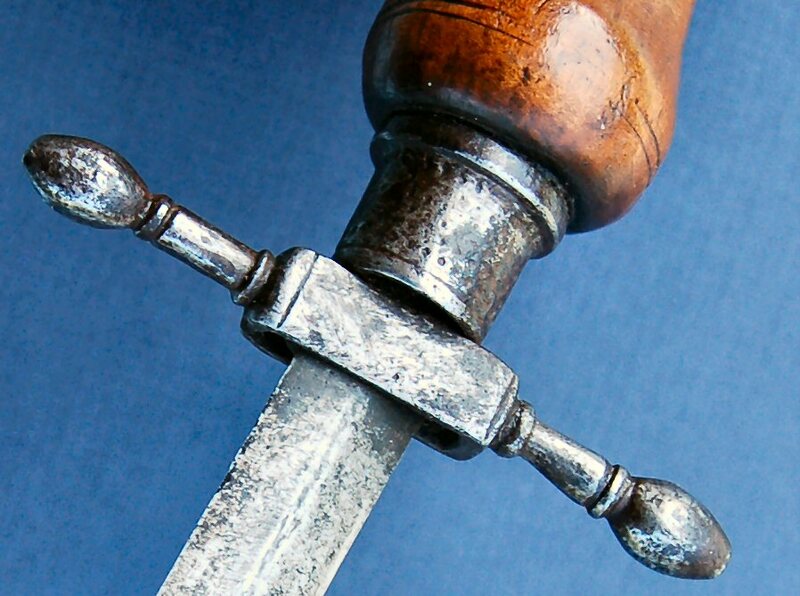 #04 - A German 'ersoc' bayonet (ES07). 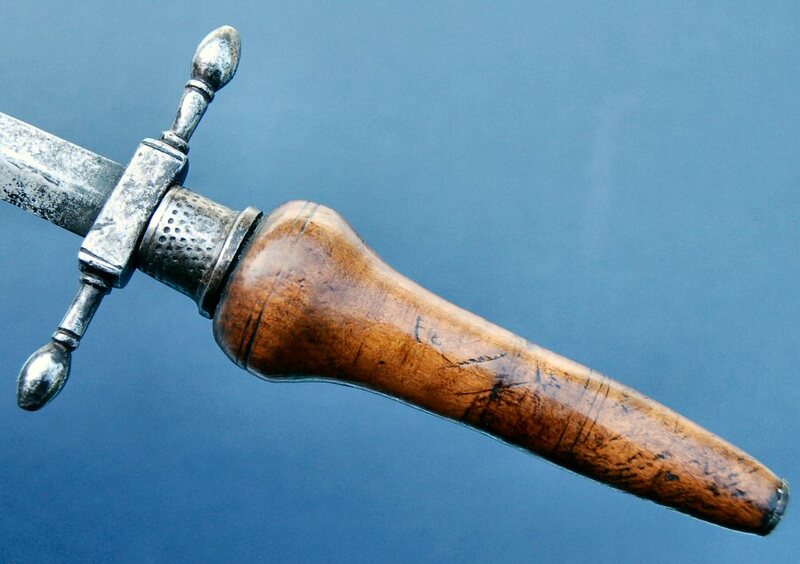 Pressed steel hilt, with much original field grey paint remaining. 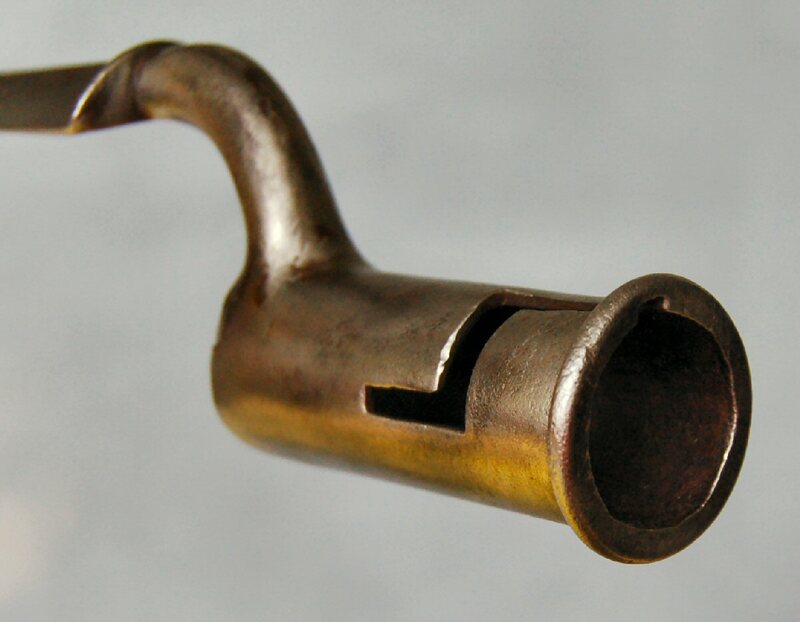 Press catch AF (see image). 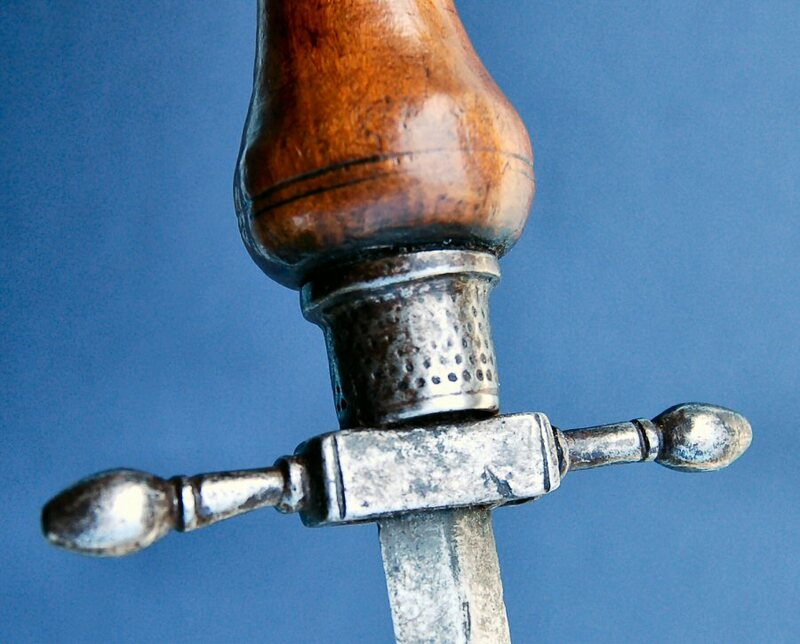 Mounted with a 445mm triangulare blade, style and makers mark, indicating this is a Liège blade from the Albini M1867. 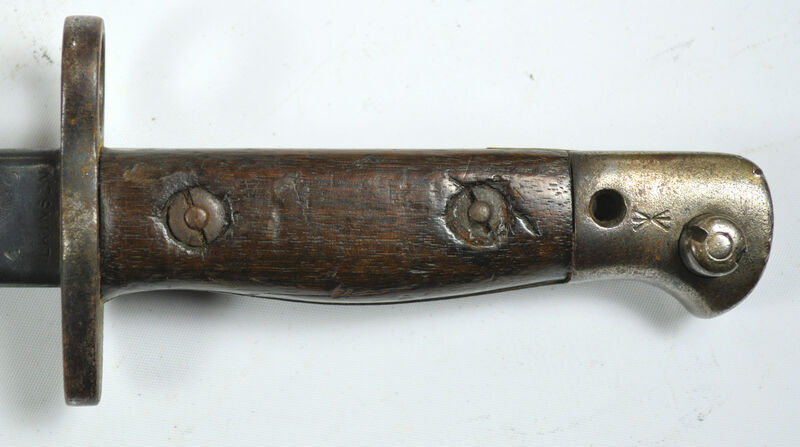 E032 - A German ersatz knife bayonet EB25 (Roy Williams #469 - variation). 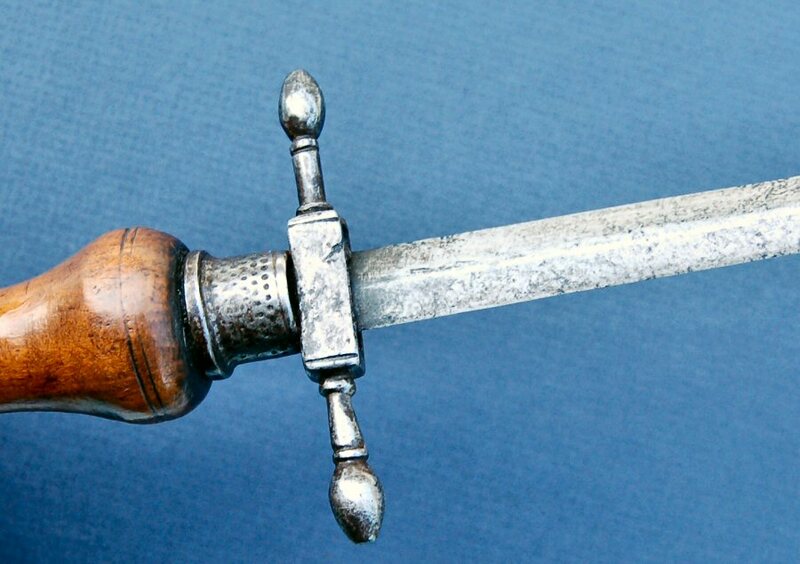 Cast steel hilt and scabbard.